Everyone loves TV crossovers right? It was totally hilarious and not at all a massive let down when The Simpsons and Family Guy did it, same goes for Brooklyn Nine-Nine and New Girl. Probably serves me right for watching those programmes. Bob’s Burgers and Archer, on the other hand, pretty decent imho. So what does this tell us? If you want to make a crossover successful, get a chef involved, obvs! Which leads me neatly on to the topic of this article. As one famous chef struggles against the rising tide of people not really enjoying his chain of restaurants any more, the hungry public are calling on another, angrier, celebrity chef to get involved in the only way he knows how – with a TV show to turn it around. Earlier this year, it was revealed Jamie Oliver’s string of restaurants, Jamie’s Italian, was on the verge of bankruptcy. The chef had to put £13 million of his own money into the business to keep it from going bust. And while Jamie Oliver is far from going bust personally, he said he couldn’t keep ploughing money into the restaurant chain. There’s a point where I can’t put the other side of the business at risk as well and the people who work there. The upside is I am now fully in control of the restaurant business. It’s fully owned by me. We’re getting on top of it and we’ve learned lots of lessons. However, as anyone who’s ever watched daytime TV will know, if you want to turn a failing restaurant around, you must do so through the school of hard knocks, aka Ramsay’s Kitchen Nightmares. It’s a show that manages to be entirely predictable and formulaic, yet surprise and engross viewers every time it’s on. And no matter his level of anger, no matter how much he rages throughout the episode, the restaurants come out the other side thanks to Gordon Ramsay and his team. His means may be unconventional, but boy does he get results. 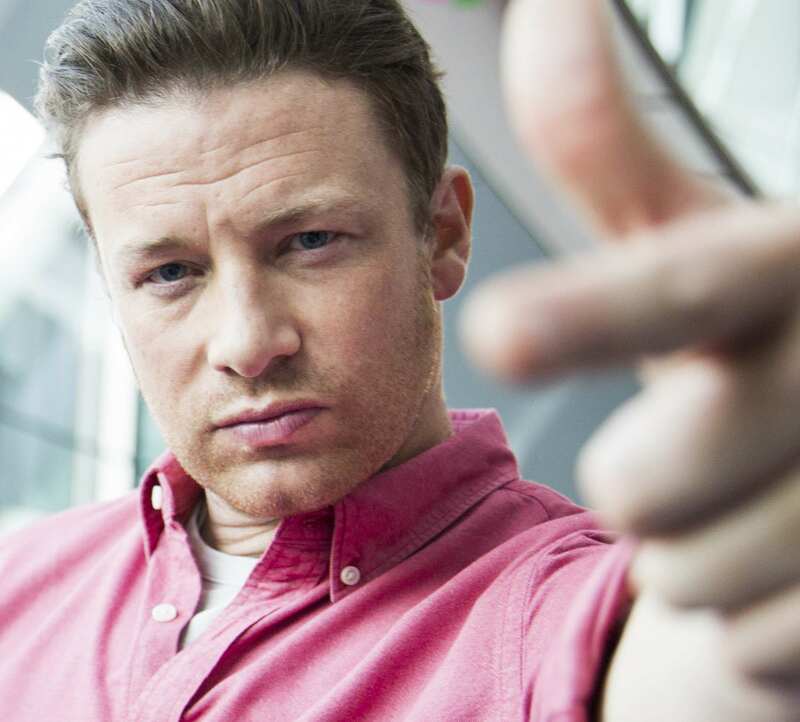 So, naturally, a Kitchen Nightmares scenario with Jamie’s Italian may just be the celebrity chef crossover we never knew we needed. Petition to get Gordon Ramsay in for an episode of Kitchen Nightmares to try and save [Jamie Oliver’s restaurants]. When's the Jamie Oliver and Gordon Ramsay boxing match gonna happen? It might not the most intense matchup, but if it meant we could witness Gordon Ramsay whack two pieces of bread on either side of Jamie Oliver’s head and scream ‘you’re an idiot sandwich’ at the top of his lungs, I am all in.